Wins for Glasgow City, Spartans and Hibernian as Celtic draw against Motherwell. Hibernian maintained their unbeaten start to the season at the expense of Rangers, Glasgow City put seven past Forfar Farmington, while Motherwell held Celtic to a scoreless draw in East Kilbride. The points were shared at K-Park as Celtic's clash against newly-promoted side Motherwell finished goalless. The hosts were without Sarah Ewens, and Josephine Giard started on the bench. Celtic had a couple of chances to take the lead in the second half, including two opportunities from Natalie Ross and Kathleen McGovern, but failed to capitalise. Katie Rice and Mhairi Fyfe had a couple of chances to score for Motherwell, but the visitors were unable to get on the scoresheet, and the match ended in a scoreless draw. Hibernian ended Rangers' unbeaten start to the season with a comfortable 4–0 win at Ainslie Park. The SWPL 1 leaders broke the deadlock in the 32nd minute when Lia Tweedie got on the end of a Lauren Davidson cross. Tweedie doubled her tally in the 41st minute with a header following a Rachael Small corner, and Hibernian went into the break with a comfortable two-goal lead. Tweedie completed her hat-trick in the 57th minute when she got on the end of a Chelsea Cornet cross. Siobhan Hunter then wrapped up the three points for the home side in the 67th minute, when she slotted home a low cross from substitute Colette Cavanagh. Glasgow City continued their scoring form in the SWPL 1 with a 7–0 victory against Forfar Farmington at Station Park. The opening goal came in the 36th minute, courtesy of an own goal by Kayleigh Brough following a cross by Nicola Docherty. 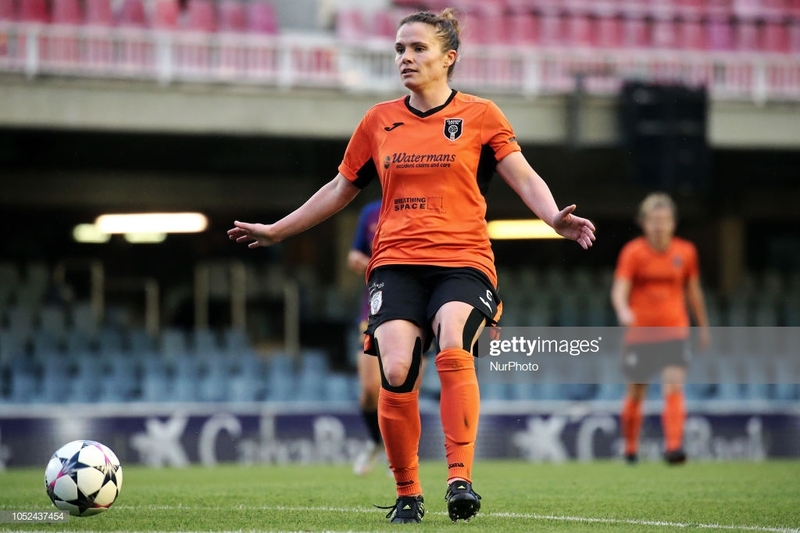 The visitors doubled their lead through Republic of Ireland international Clare Shine in the 55th minute, and just four minutes later Forfar failed to clear a corner and Jordan McLintock was there to fire home from inside the box to make it 3–0. It was four for City on 69 minutes as Shine grabbed herself a second goal after Forfar failed to clear another corner. Forfar goalkeeper Fiona McNicoll then pulled off a good save in 80th minute to temporarily deny Shine her hat-trick, but the ball came out to Joanne Love who lobbed it over the keeper and into the back of the net. Shine finally got her third in the 87th minute, but the scoring was not yet over, and Carly Girasoli scored City's seventh from a Leanne Ross corner in stoppage time. Four games, four losses for Stirling University. The visitors took the lead after just two minutes through Kaela McDonald-Nguah. Despite having the majority of possession in the first half, the second Spartans goal came in the 52nd minute, when Ronaigh Douglas floated in a free-kick and Michaela McAlonie flicked the ball on for Tegan Reynolds, who headed it home. The third and final goal came in the 70th minute, courtesy of an own goal by Jessica Murphy.